Whether you’re just getting started using a wireless credit card terminal or you’ve been with a merchant services provider for years, it can be helpful to understand certain key merchant services terminology. Here’s a rundown of some basic merchant services terms you should know. Automated Check Handling, also known as ACH, refers to an electronic payment between two parties in is common in merchant services accounts. This payment can either be transferred through an automated clearinghouse or via wire transfer. ACH is handled similar to the way checks are, and are often referred to as electronic checks and is a common merchant services term. Among the merchant services terms Authorizations can cause some confusion. Once an issuing bank has verified that a customer’s bank account (or credit account) has sufficient funds for a transaction, it approves the transaction through what’s called an authorization. There may be an authorization code associated with the transaction that will print on the receipt. The collection of credit and debit card transactions from a day of sales. 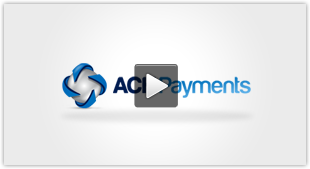 They are submitted in a single “batch” to process the payments for your merchant services account. The company or financial institution that issues a credit or debit card to the user. For example, Visa and Mastercard are card issuers. When there is a dispute over a product, the credit card transaction is billed back to the merchant. Even if the merchant did not agree to accept a return of a defective product, the credit card company can issue a chargeback. The security code printed on the back of credit cards that are sometimes required to be input during the transaction process. The CVC2 numbers reduce fraud risk, and is common merchant services term that is requested from customers when doing phone orders etc. Credit card companies charge a fee, called a discount rate, for handling a transaction. Typically this is a percent of the transaction plus a modest flat fee. Part of the batch of transactions that is held back to cover potential charge disputes, chargeback fees, and other fees. After a certain period, the holdback is released back to the merchant. The bank that is responsible for a customer’ credit or debit card account. This bank will disburse funds from the customer’s account to the merchant’s account at the time of purchase. Part of the point-of-sale terminal or an independent piece of hardware that reads encoded information found on the magnetic stripe of a credit card. Once the card is swiped, the information is transmitted through the payment gateway to the customer’s bank. Once you have set up a merchant services account, this number will identify your account for all transactions, online and off. The company (bank or other) that processes credit and debit card transactions for a business. Computer or other hardware that processes transactions, manages inventory, and provides other merchant tools. Can be installed as software or used through cloud-based software. The POS system may include the credit card terminal as well. A four digit sequence of numbers tied to a debit card. Designed to reduce fraud risk. Connects the wireless credit card terminal or ecommerce shopping cart to the credit or debit card processor. A transaction that is billed regularly (typically monthly) to a customer with her permission, such as for recurring invoices or a membership. When shopping online, a customer can store items for purchase in a virtual shopping cart until they are ready to complete the transaction. Process of accepting a payment for a given amount for a purchase in a store, restaurant, or other business that accepts terminal or online payment through credit card. Amount charged by merchant services provider for a single transaction. This are a number of the merchant services terms that you as a business owner want to be familiar with. Understanding these merchant services terms helps you understanding anything that may come up when accepting payments from your customers.